FBRI and WFCA recently co-sponsored two forest inventory workshops titled Fundamentals and Best Practices for Forest Inventories. The workshops were held in Moscow, Idaho, on May 7 and in Wilsonville, Oregon, on May 9, 2018. Dr. Jim Arney was the featured speaker and provided workshop participants with his recommendations on how to set up and annually update an accurate and robust forest inventory system. Dr. Arney started the workshop by summarizing the evolution of inventory systems over the past 50 years. He noted that some organizations are still using older technologies (e.g., individual-tree/distant- independent models developed over 20 years ago) even though the silviculture they practice features partial harvesting and leave-tree retention guidelines. Such silvicultural practices result in clumpy multi-species/multi-cohort stands that should be “grown” using an individual-tree/distance-dependent growth and yield model, like FPS, to project future conditions. Above—Dr. Jim Arney presenting at the FBRI/WFCA inventory workshop in Wilsonville, Oregon, on May 9. Forty participants signed up for the one-day event held at the Holiday Inn on SW 95th Avenue. Dr. Arney also emphasized the important distinction between inventory methods used to estimate immediate harvest volumes versus methods used to acquire detailed tree list data needed to support operational forest inventories. In the first case, harvest is scheduled within a very short time horizon, perhaps three years or less. In the second case stand structure data are needed—at a minimum this would be a tree list showing species, total height, diameter at breast height, defect, etc.—to project the long-term growth and yield of the stand (perhaps 10 to 15 years) subject to a variety of alternative silvicultural prescriptions. It is important to understand the differences between the two timber cruising protocols because the first method (cruising for harvest volumes) will all too often not provide the inventory forester with the tree list data needed to make silvicultural prescriptions or to develop meaningful long-term forest management plans. Over the course of the day Dr. Arney used a series of PowerPoint slides to communicate to workshop participants forest inventory best practices he has assembled based on 50+ years of experience. Topics covered included forest stratification, timber cruising, systematic layout of variable plots, subsampling tree heights, tree measurements, cruise compiling, cruise expansion, year-end updates, and annual reporting. 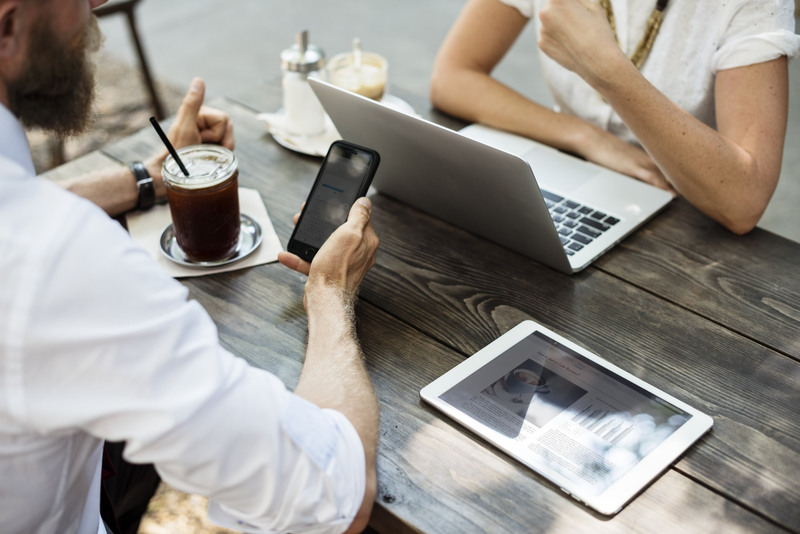 As a perk for attending the workshop, Dr. Arney informed participants that he would respond to additional questions they might have once they returned to their offices. In addition to Dr. Arney, the workshops in Moscow and Wilsonville were attended by FBRI contractors Dr. Dan Opalach and Mr. Brock Purvis. Dr. Arney called upon Dr. Opalach and Mr. Purvis from time to time to discuss various inventory issues they had encountered and resolved over the years. This typically led to follow-up comments and questions from participants. 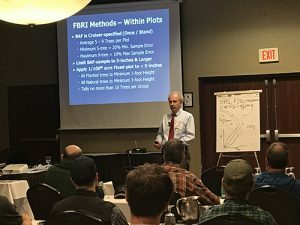 Given the good turnout and positive feedback associated with these workshops, FBRI is considering offering the inventory workshops again in 2019, along with additional workshops on silviculture, forest growth & yield, and forest planning. For those of you interested in finding out more contact Dan Opalach, FBRI Forest Biometrician, at (971) 940-2409 or use the contact form below.